No April Fool’s joke: There’s a comedy cable network in your pocket, and you’ll be happy to see it. Further blurring the lines between TVs and mobile devices, Comedy Central launched an all-new app Tuesday that will offer a generous helping of its flagship content for free — and we’re talking full episodes here, not just clips or extras — on smartphones and tablets. 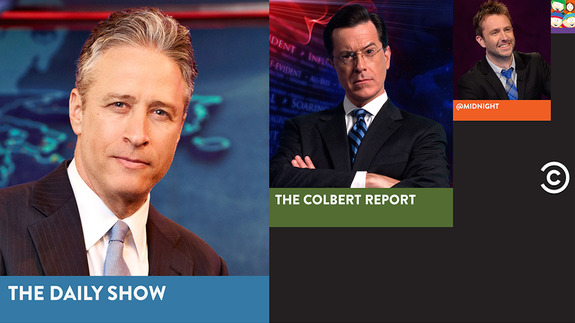 Tagged with colbert, comedy, comedy central, count, Facebook, king, market, Music, stephen-colbert.